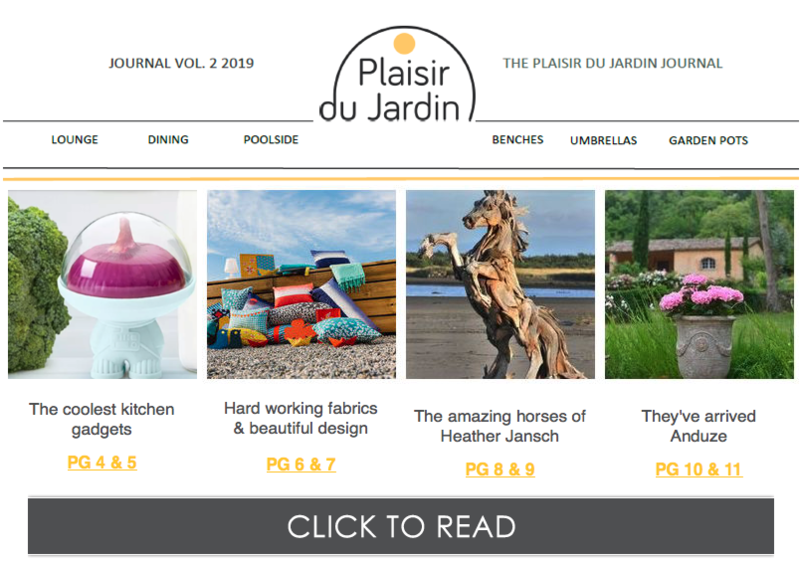 Plaisir du Jardin is a stylish one-stop-shop for outdoor furniture. We aim to give you the best experience possible with knowledgeable, friendly staff and good after sales service. We offer an extensive range of outdoor and patio furniture, from full lounge suites to wooden deck chairs, as well as umbrellas and Terracotta pots. When we opened in 1980, we were the first boutique styled outdoor furniture shop in South Africa. Over the last 30+ years, we have dedicated our time to creating unique, trendy designs and are always upgrading with the times. We make sure to source only the best quality products and are always conscience of our environment and natural resources. We are proud to work with manufacturers that have a keen environmental approach and who are always upgrading, not only their designs, but their environmental awareness. We have showrooms positioned in prime locations across Johannesburg and Cape Town that reflect the Plaisir du Jardin image. Pop in and take a look at our wide range of quality outdoor patio and garden furniture. Each showroom has its own individual architecture and atmosphere, with a team of friendly professionals.